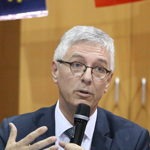 On behalf of Toulouse metropole and the city of Toulouse, it was with great pleasure and great pride that I was able to meet you at the Congress of the international Planetarium Society at the Cité de l'espace in 2018. Astronomy, space and aeronautics have forged the identity of our city for decades: research, education and industry but also dissemination and scientific culture are all flourishing sectors in Toulouse, the European capital of science in 2018. Thanks to the International Planetarium Society Conference, the stars and planets have been closer to Toulouse than anywhere else: thank you all for your participation! 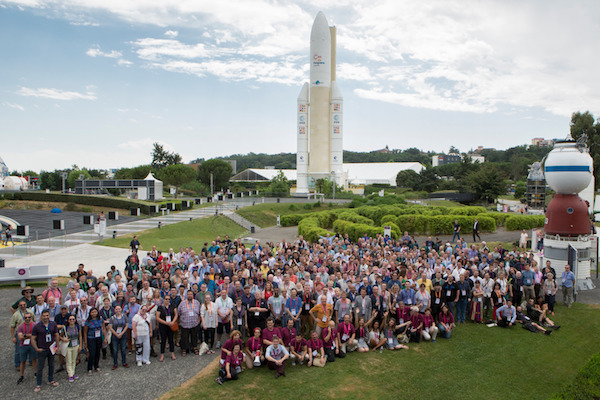 As the first Science Center in Europe dedicated to space and astronomy, supported by local authorities, space agencies and industries, education and research institutions, la Cité de l'Espace has been happy and proud to host the IPS congress in July 2018. Planetariums are and will remain exceptional tools to share astronomy with as many people as possible, making possible to unlock imagination and provide a better understanding of the world around us through science. On the occasion of this IPS congress, taking place in France for the first time, my teams have been totally dedicated to offer you the best possible IPS experience. But it is also and above your participation and the quality of your commitment that made this conference a unique time of discovery, exchange and sharing. Merci à tous ! Merci Beaucoup and thank you for making IPS2018 at Cité de l’espace in Toulouse, France an incredible professional development event! It was truly a wonderful international exchange with 52 countries participating in numerous ways. I hope you enjoyed your time and met many new colleagues in our field and developed connections for future collaborations. This event would not have been possible without the incredible support of our host – please join me in thanking them again. Each one of these conferences create special memories and my wish is these continue to inspire you in our planetarium field. I look forward to seeing you in Edmonton, Canada for the next IPS conference in 2020!